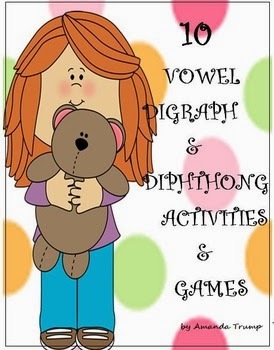 The Best of Teacher Entrepreneurs: Language Arts - "10 Vowel Digraph & Diphthong Activities & Games"
Language Arts - "10 Vowel Digraph & Diphthong Activities & Games"
This packet of 10 activities and games give students a fun way to learn and sort vowel digraph and diphthong syllable words. A vowel digraph is two vowels that spell one of the vowel sounds in the team such as /ea/ spells the –e sound in ‘eat’. A diphthong is one vowel sound formed by the combination of two vowels. This vowel sound is produced when the tongue moves or glides from one vowel sound to another vowel sound in the same syllable thus creating its own unique sound rather than one of the typical vowel sounds of the vowel team. The four diphthongs vowel teams are /ou/, /ow/, /oi/ /oy/. 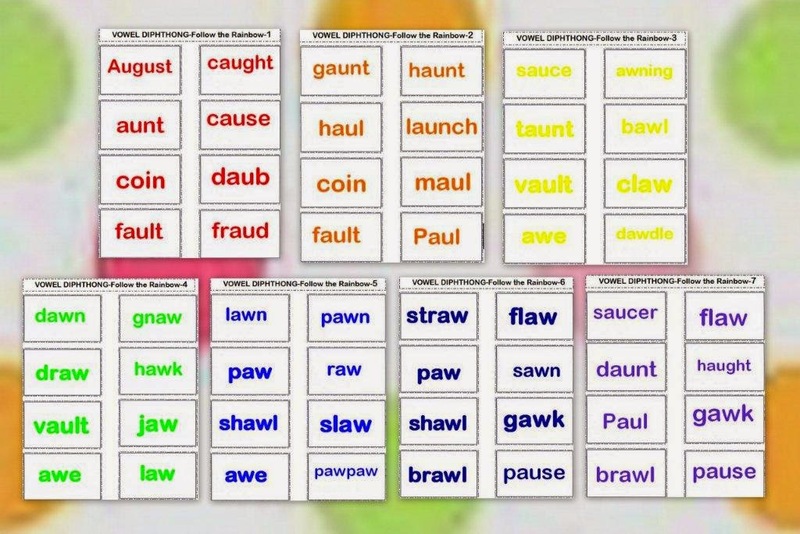 Together these four vowel teams create their own unique sounds. The words used in this packet target the common vowel combinations that create vowel digraphs and diphthongs. 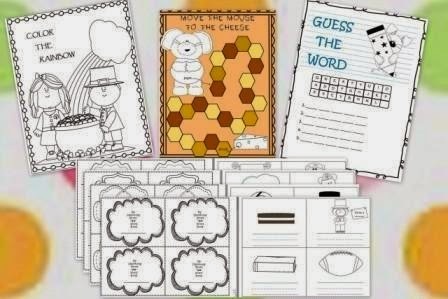 The activities/games can be placed in language stations, or they can be played during small groups. 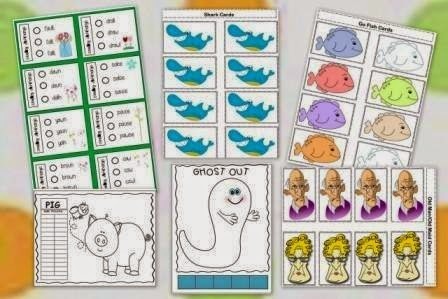 So enjoy as your students learn another way to break the code to reading!